Microsoft Office is everywhere, installed on over 750 million computers, but most users only know how to set up a basic table or maybe even do a few formulas here and there. Microsoft Excel can go through loads of information and create a printable report for you. You can make custom forms so that you can access, analyze, edit, or add new information quickly to your data tables/ worksheets. Enhance your Excel skills with these top tutorials at your disposal. This course combines 4 different courses about introduction to Excel, intermediate level Excel, advanced level Excel, Microsoft Excel macros and VBA in 6 simple projects. This course includes material recorded with Excel 2013 but works in 2010, 2013, and 2016. You will start with the basics, building a solid foundation that will give you further knowledge as you progress into intermediate and advanced level topics. Learn Excel VBA from scratch! Batch out inter-active message boxes, input boxes and give users choices. Take control of forms, buttons, drop-down menus, checkboxes and option buttons. Trigger code from a number of different methods - from clicking on a cell to de-selecting a worksheet. Set up special commands when a workbook: Opens or closes, is selected, any cell or certain cells are selected right before printing. Manipulate Userforms for data entry, report generation, editing tables/databases - ALL within your control. Restrict the flow of data OR make the Userform(s) responsive, calculating, intuitive. Streamline your work and the work of others. This course will show you the easiest tricks to learn VBA in a fun, progressive method. With each of the short, info-packed lectures, you'll learn another essential skill that you can immediately use. This course offers detailed explanations with comprehensible case studies based on real situations, downloadable course materials, regular course update, and professional chart examples that are 1:1 with those used by major banks and consulting firms. 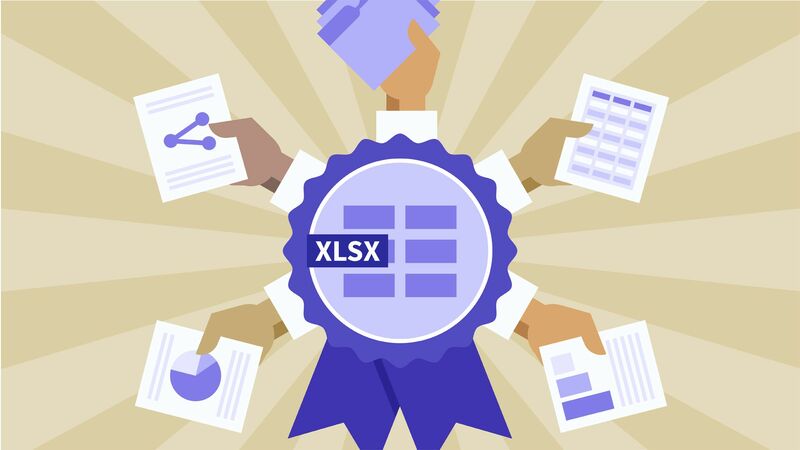 This course will give you a deep understanding of the advanced formulas and functions that transform Excel from a basic spreadsheet program into a dynamic and powerful analytics tool. You'll dive into a broad range of Excel formulas & functions, including lookup/reference functions, statistical functions, formula based formatting, date & time functions, logical operators, array formulas, text functions, and powerful analytics tools and formulas like INDIRECT, HYPERLINK, WEBSERVICE & FILTERXML. You'll then get to explore and analyze data sets from a number of real-world case studies, including San Diego burrito ratings, shark attack records from 1900-2016, Facebook post data from spartan race, major league baseball team statistics, San Francisco employee salaries, daily stock market data, IMDb movie ratings, Apple store mobile app ratings, and wine ratings and descriptions. Master all the basics of Excel, even if you've never seen a spreadsheet before! This course includes screen casts, lots of quizzes, presentations, PDFs, and downloadable files. You will learn how to combine multiple functions in a simple way to create powerful solutions in Excel. Each project in the course is designed to introduce a range of concepts to you. As a bonus, you will also learn how to harvest data from the web and how to create online forms which allow you to gather data from individuals. You can download all of the Excel project files that are used in the videos so that you can get a “hands-on” approach to learning the material. You will also be shown how to find and download free "Excel templates" which are spreadsheet templates that you can use like "budget templates" or a "calendar template" or a "schedule template." This course provides you with working files and code samples as well. In this course, you will learn advanced Excel tools like automated dashboards, scrolling charts, dynamic formats. In this Excel training course, you will learn by watching step by step explanation of how to perform the basic and advanced functions. The training explains Microsoft Excel 2010 starting with the absolute basics of creating your very first worksheet. This course slowly works you up through learning the various capabilities of this very powerful program, and covers topics such basic to advanced formula and functions. As part of this course, you can also download the working files that allow you to work along. How to use your own SkyDrive to store and share your Microsoft Excel Projects. Learn Python with a Killer Instinct of a Tiger!Picking a new programming language to learn is tricky. Whether you are a beginner or advanced, it helps to know what topics to learn.